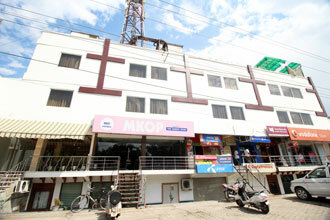 This hotel is situated just 2.5 kms from the railway station and 2.5 kms from the airport. Bearing a total of 24 rooms, this place offers an in-house multi-cuisine restaurant. The hotel's proximity to the main shopping complexes, major attractions and main business centres, makes it an ideal place for a stopover.